A boy burdened with a family legacy. A girl haunted by a shattered past. Both searching for answers to a future threatened by the unknown. Three years ago, conservative Trey Chapman and liberal Monica Remy met their match in one another - and made the only exception that would change their lives forever. Now, Trey's father is running for president, forcing Trey and Monica to put aside their personal beliefs to be the model of perfection. The Only Answer was a great sequel to book 1, The Only Exception, in this series. I love when we get to learn more about characters that we fell in love with in a previous book. I loved getting to know Trey and Monica in the first book, but it's always fun to get a continuation of a story when characters have already been established. The Only Answer takes place, three years after, The Only Exception. Trey and Monica are happy with one another, in love, and officially beginning their lives as adults. Trey is working on his father's campaign, as he is the Republican candidate for the presidency. Monica is struggling to find a job utilizing her education in Women's Studies. Unfortunately, because of her connection to Trey and his family's political background, no one will hire her in her field, and she has to settle for working in a coffee shop. Monica and Trey's life deals them a surprise, which puts their relationship to the test. They have to battle scandal, gossip, and the media; as they are put in the spotlight due to Trey's father's candidacy. Will their relationship survive the constant stress, and will Trey put his father's campaign first, or his relationship with Monica? The Only Answer was an extremely romantic story. I couldn't help but swoon over Trey. He was madly in love with Monica, and he told her all of the time. He was romantic, sensitive to her needs, and extremely loyal. Monica has grown a lot since book one. I though that she was a great match for Trey, and even though they had different political beliefs, they respected one another, and found a way to make their relationship thrive. I know that Trey struggled with wanting to please and do the right thing by both his father and Monica, and I felt bad for his constant struggle. However, I was glad when both his best friend, John, and his brother, Tripp, gave him excellent advice, and made him see things more clearly. The end of the story was beautiful, and really touched my heart. The Only Answer, had both great main and secondary characters, as well as plot twists, and a beautiful and touching romance. I read this story in a few hours, and the pages just flew by! 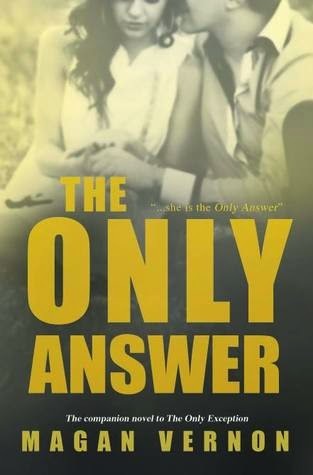 I'm looking forward to going back and reading, The Only One, which is (Trey and Monica's best friends,) John and Melanie's story. This is such a great series, and I highly recommend it to those that enjoy New Adult Romance, but are looking for a little something different. 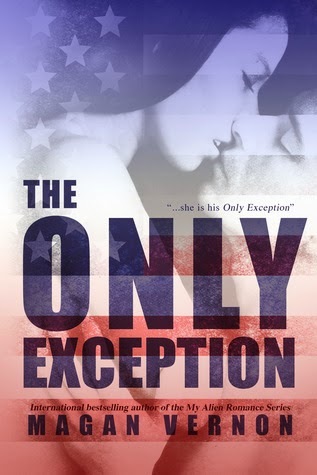 If you are fascinated by politics, and various debates between the Democrat and Republican Parties, as well as a good romance, check out Trey and Monica's story. I give, The Only Answer, by Magan Vernon, 4 Fast-paced, Fascinating, Romantic, and Sweet Stars!!! 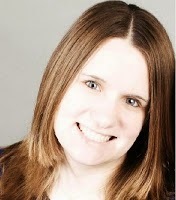 Her first book was independently published through an author cooperative in 2011; a YA Science Fiction book called How to Date an Alien that has consistently ranked int he top 100 in Amazon for Teen Science Fiction and Romance. Her first New Adult book, My Paper Heart, was published in 2012 and shot up the top of the Amazon best seller charts and surpassed expectations from all the people in 2009 that told her "A college aged character won't sell." Her next release is titled The Only Exception, coming in April of 2013. It's political, New Adult, and everything that makes a girl swoon. Trey and Monica sound wonderful. Great review. This definitely sounds like one series that I would enjoy. I really wang to give this series a try. So glad you enjoyed The Only Answer, Lindy! I haven't read this series. I met Megan at UtopYA. I should check it out sometime.